Hiking and backpacking are highly addictive activities. Once addicted, we will plan our trips as often as we can, try to reserve enough spare time in the future, and we will grow frustrated once we realized the weather on our day is not great. On the other hand, the trail we choose might be wet, muddy, and letting us cross ponds, creeks, swamps and other watery or muddy surfaces. Some of us will find fun in getting through wet environments. Best quick dry pants are able to free us of any moisture even in relatively cold weather, making our wet journeys actually bearable and fun. All types of pants, regardless the materials of which these are made, will dry over a certain period of time. Some pants, such as cotton ones, are great for dry conditions when you don’t sweat much. Cotton is remarkably soft and smooth and can collect a plenty of moisture, which is something you don’t want on any activity involving water or sweat. 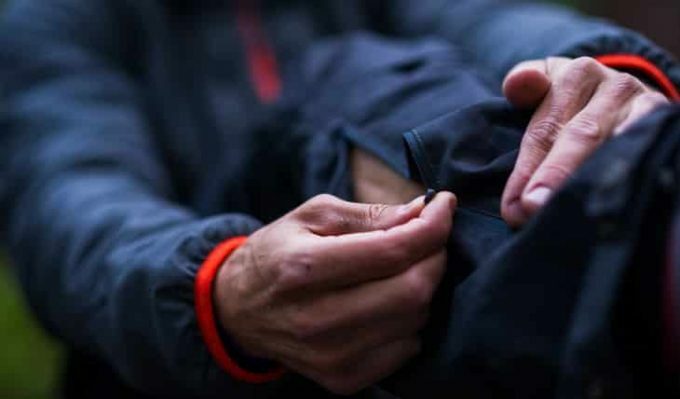 Synthetic materials and innovative fabrics are able to provide with both comfort and dryness which is great for any activities that are prolonged and/or taken in wet conditions. Smart choice of pants, is often driven by bad or weak hiking experience in unfavorable conditions. Classic pants are the ones which cover the whole legs up to the ankles or even a bit below. With appropriate footwear, these pants provide full coverage of your lower body. 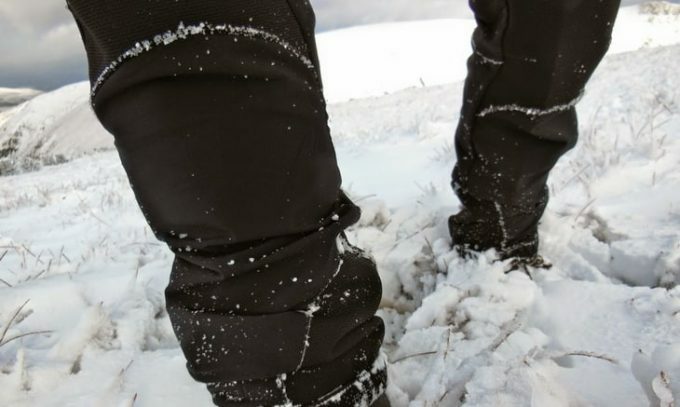 Standard pants provide full protection from cold and the wind, while moisture control depends on the material. The weight of classic pants is highly variable and depends on the fabric, insulation, hips construction loop, presence of features like pockets, etc. 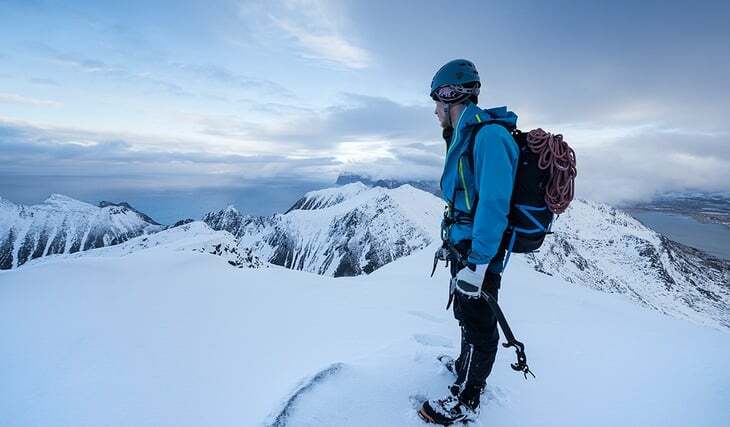 Long, classic pants are good for hiking in cold to moderate weather with or without rain. Summer pants are made to be much shorter to reduce weight. Their length spans from real shorts which only cover the crotch area, to a bit below the shoulders. 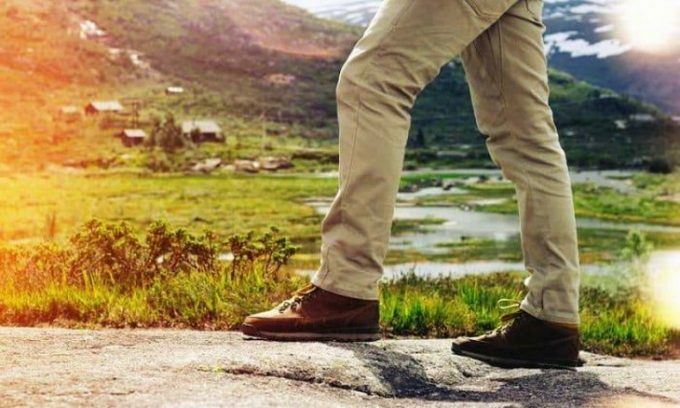 Shorter pants, or simply shorts, are lighter in weight and in most cases, allow easier and faster movements, but your lower legs are open and exposed to various environmental conditions: bruises from the undergrowth, poison ivy, sunburns, kicking hard things and injuries. If the weather is warm enough and the train you chose doesn’t have many obstacles and things you need to move, shorts will be ideal. Pants form and design is defined by the weather for which you’re planning to use them. There are models for cold and warm weather, and then there are pants for rain, snow, light rain and dry days. 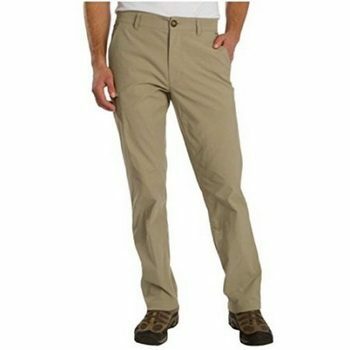 Some pants are ultra dry and ripstop and are ideal for fishing and fording shallow water surfaces. Pants are perhaps the most exposed pieces of the garment after footwear, and their design is largely defined by the activity and use. Thus, pant designs vary much more than, for example, shirt designs, and appropriate pants will matter almost as much as appropriate shoes and shirts. If the weather is dry, you will look for lightweight outwear and natural fabrics such as cotton, or blends of cotton and man-made materials such as polyester. In more humid, wet and watery conditions, synthetics with moisture-wicking abilities are an absolute must. Pants you can use for hiking can be made of a broad variety of materials: synthetic, natural or blends such as polycotton. 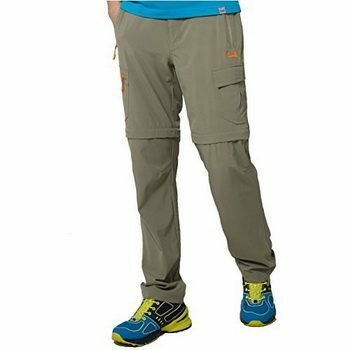 Actual hiking pants, made specifically for that purpose are most commonly made of advanced synthetics and blends. These materials determine the drying ability. The main downside of cotton is its tendency to dry very slowly, which is the last thing you will want on a trail. All quick drying pants on the market are made mainly or exclusively of synthetic materials. Cotton blends are often added to the inside of the pants to increase comfort, but in this case, the outer shell must be of a highly water-resistant synthetic material with or without a DWR coating to make these pants real hiking ones. Such models can be a bit heavy, but combine comfort and warmth. DWR stands for “durable water repellent” and it is spread as a coating film to the threads before knitting the fabric of which the garment’s outer surface is made. Nylon, is perhaps the best choice for a hiking pant material, thanks to its high water repellency combined with scratch and tear resistance. Thanks to its scratch and tear resistance properties Nylon pants will last longer than polyester or cotton ones. Polyester, may be a bit better at moisture-wicking, but it is less elastic and thicker than Nylon, and more susceptible to environmental damage. The difference in moisture-wicking isn’t that significant to suffice for the other downsides in comparison to Nylon. Polycotton, is a blend of polyester and cotton. These pants combine quick drying abilities of polyester, with smoothness and warmth of cotton. Some blend pants, can have nylon layers to improve tear resistance. These pants are a bit heavy and have very good thermal insulation properties, making such particularly good for winter. Spandex (“Lycra”, “Elastin”), is sometimes added to the pant fabrics to improve their elasticity, wear and tear resistance, and thus extend their durability. Usually an overlooked factor, but actually one of the most important ones is the sun protection factor of the pants you plan on buying. Note that coverage by itself with any material does not mean you’re safe from sun radiation. Some models will be rated for sun protection capabilities. UPF – This is the number by which the time of receiving a certain amount of UV rays from the sunlight is multiplied, i.e. if you wear an SPF 30 factor pants or sunscreen it will take five hours to receive the same amount of UV radiation as in 10 minutes when unprotected. Technically, all garments, even those non-rated for UPF or SPF will offer sun protection to some degree, but this can be much lower than in most rated apparel. Therefore, if you want to protect yourself from the harmful effects of the sun’s rays, you need to look for pants that offer high SPF and UPF ratings, the higher the value the better protection you will have. The color is not just an aesthetic consideration which buyers need to combine with colors of other garments or their personal preferences. The type of color defines the garment’s ability to retain heat from the sun, and the darker the warmer it gets when exposed to the open sunlight. Dark clothing worn in summer will make you feel excessively hot and boiling. This can depend on the material, and synthetic materials collect more heat than cotton. 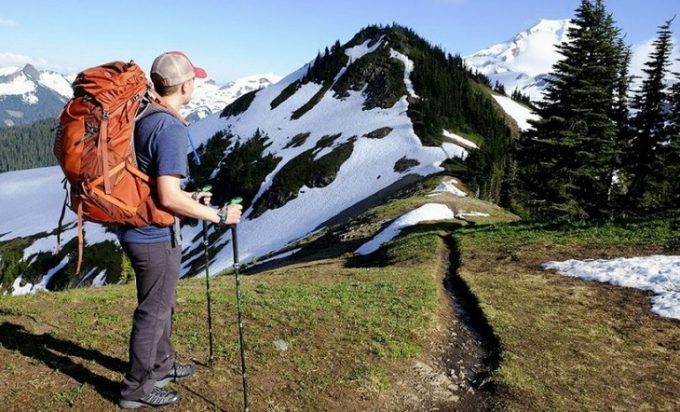 If you buy hiking pants, that are normally made of synthetic materials, choose the pale ones. There are various types of pant fitting, which is sometimes defined by the length, ability to roll-up or convert, but in most cases, people choose the ideal fit by the feeling of touch rather than the need for temperature and extra environmental protection. In the warmer part of the year, people will opt for looser models hoping to get a better airflow. Pants too loose can, however, can hook to objects around and let more water in through the openings. On the other side, tight models will be too hot and can cause excess sweating. To solve this, designers have brought models with gusseted crotch areas and articulated knees which make an ideal fit. It is not too loose, not too tight, offer a great amount of protection and generally are not too warm. 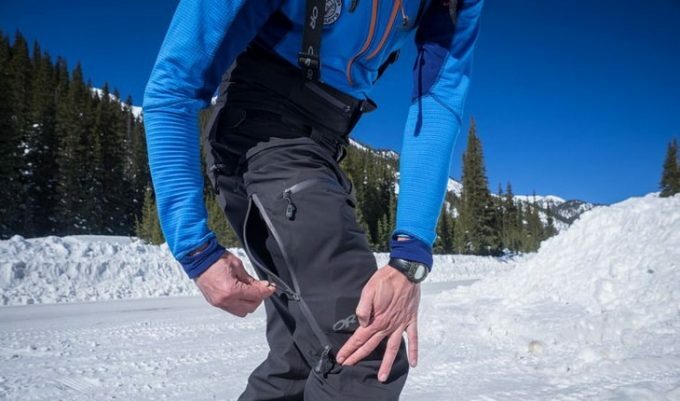 As like most other outdoor pants, hiking ones feature at least a couple of pockets. You will have a plenty of accessories with yourself. Since many backpacks, hydration packs and pouches offer limited and insufficient accessory storage, pockets in pants can be a great aid. Choose zippered pockets which will keep your belongings safely inside. The choice of hiking pants on the market is great, and a good selection can get you lost and confused. To overcome this, we have shortlisted nine models to make the tour decision-making process easy. Specific features: Several pairs of pockets, belt pulls, YKK zippers, waterproof fabrics. Best use: Summer hiking and biking. 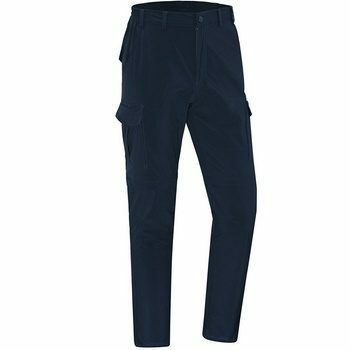 Description: Makino W6DW quick dry pants with Stretch Waist for Hiking, are great for people who spend all say long on a trail. Belt loops help you keep them safely locked to the body, and the thick construction offers multiple protection. There are four zippered pockets and each of these belongs to the upper part and will be there even in the shorts variant. However, owing to this design, these pant’s conversion points may be a bit lower than in some other models, should all these pockets be accommodated. These pants come in three color options: khaki, light army green, and indigo. Buyers get a 30-day return and replacement and three year limited manufacturer warranty. The only downside of these pants, is that they are more of a skinny jeans fit than the usual baggy, hiking pants fit so you should be careful when choosing the size and probably go up a size if you want a comfortable fit. Other than that, most users claim that the price is a great deal since the high-quality finish and material are probably worth more. Related: If you are looking a belt that goes with these pants, we can recommend the Mil-Tec Paracord Belt, since a paracord can be extremely useful for many outdoor situations. Specific features: Belt loops on an elastic waistband + removable webbing belt, five pockets, UPF 30 protection factor, water-resistant finishing, vertical zippers for easy removal. Description: Summers are great for long stays in the wilderness, and the White Sierra X9702M32 convertible pant will make a great companion in the back country. Their durable nylon construction, is combined with a plenty of storage to keep your accessories, and a belt is featured with them. Owing to a plenty of pockets, the detachment zipper is a bit lower. The lower cuffs are removed with ease thanks to the vertical zippers, and the nylon fabric used combines sun protection with tear resistance which is basically a winning combination for summer hikes. As for the belt that comes with these pants, most users claim that it’s not high-quality made and that you will be better off with your old favorite belt or to buy a new one. Other than that, these pants are really what the manufacturer claims they are, and many positive reviews will confirm that. Related: Since these pants come with roomy side pockets, we can recommend Evernew ENW-01 Hydration Pack, to keep yourself hydrated during long, summer hikes. Description: Some pants are multi-purpose, meaning they can be used for hiking, but it’s not actually a bad idea to wear them for work or a long travel, and the UnionBay Rainer Pants are a great example of a high weatherproof garment which will keep you safe in all conditions. The casual style makes them good for formal occasions as well. Furthermore, they are quite light in weight so you practically won’t even feel them while wearing, which, on long, summer hikes, is a major advantage. What we don’t like is the lack of color choices, as only khaki and black exist, and black isn’t the best choice because of the sun exposure. However, they are among the best-rated models for sun protection, letting you stay safe all day long on an open sunlight and the choice of colors is not a real deal breaker. The only downside of this model may be that they have really narrow and shallow pockets, and some users claim that they can’t even hold the wallet when you sit down, or a phone. 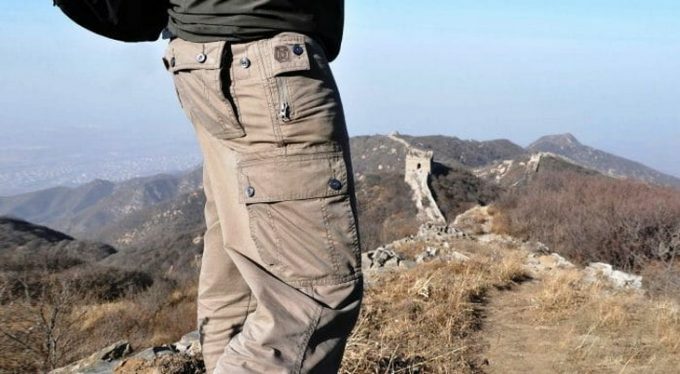 Related: Since the design of these pants allows you to wear them on casual events, not just hiking or traveling, you might want to pair them with a nice pair of comfortable sneakers. We can recommend the Unionbay Oak Harbor Low Top Sneaker. Specific features: Ultra-stretch materials, four pockets, extra lightweight. Description: Some people like the ultra thin fabrics that feel like feathers, which is featured in the Jessie Kidden Quick Dry Cargo Pant. The strongest advantage of this model is actually its design: pockets are large but well-distributed, so the conversion zippers are found a bit above the knees. 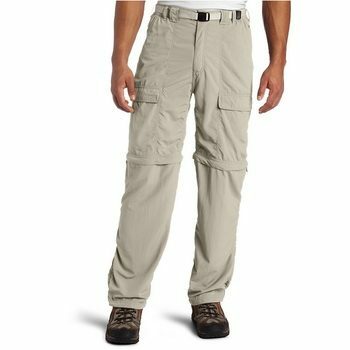 In both long and short version, these pants are among the best choices for your wonderful summer hikes, or any other activity for that matter. Most users like the choice of colors offered, and the fact that, in the long version, the middle section of this garment is quite loose, allowing a better air flow, but the bottom is a bit more narrow improving safety and convenience. On the other hand, what might be considered as a downside of these pants, is that the sizes are for Chinese market, meaning that, for example, their XL is significantly smaller than the US XL and closer to M. So, you better pick the size really careful. Also, some users claim that the zippers tend to break easily. 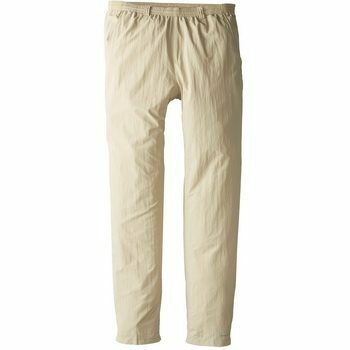 Other than that, if you manage to order the right size, you will get a really high-quality pair of convertible pants that will dry off quickly if they get wet, and offer extra comfort during your summer hikes. Related: Since most reviews complain about the zipper, it might be a good idea to have the AceCamp Zipper Repair Kit on you, just in case. Specific features: Three pairs of pockets, vertical zippers for quick conversion, belt loops, breathable material with basic sun and water protection. Best use: Casual and formal occasions, travel. 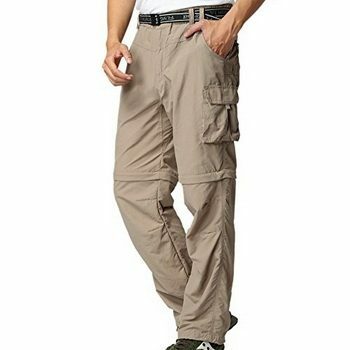 Description: The Nonwe LDENQ Convertible Cargo Pants bring the spirit of elegance into the world of activewear pants. You can even go to a business meeting and you will not look like a rascal, and it is still a pair of pants that is good for activity. Assume you like biking to work, and you don’t like the feel of trousers. There are few other similar models, but a convertible like this is really hard to find. There is a good choice of colors and very large pockets, but the conversion point is a bit lower than you should expect. The material is very stretchy and will give you a great feeling even after many hours worn. The possible downside of these pants is that their design makes them more of a slim fit, skinny, pants, so choosing the right size might be tricky if you are more of a baggy pants kind of person. But, by ordering a size or two up, you will get a great pair of breathable pants that will also keep you safe from the dangers of the sun’s rays. Related: Nonwe also offers a Nonwe Casual Outdoor Waistband that is a perfect match for these pants. Specific features: Three pairs of pockets (large side cargo pockets with closures), YKK zippers, belt loops. Best use: Travel, walking, hiking. 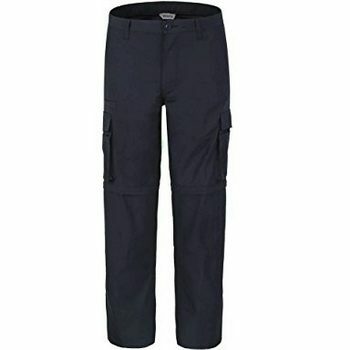 Description: As a bit loose pair of pants, the Bienzoe VXPDAC quick dry pants is one of the greatest choices for summer. Convertible, with large pockets, and with ripstop finishing, it features a design which fits into both recreative and formal activities. You can also bike to work, but only in the shortened version since bottoms are quite baggy. There is Omni-Shade sun protection and the water protection will be good for most weather conditions, with the exception of heavy and day-long raining. One of the downsides is the choice of colors: there are three options, all dark or black, which makes it not the best choice for hot summer days. Also, they are not quite convertible to shorts, but to Capri length. 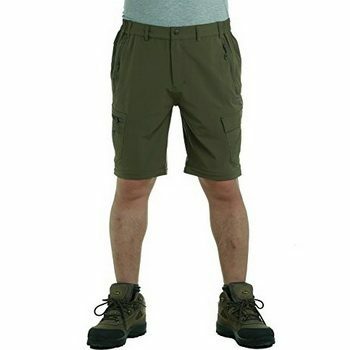 But, if you don’t mind your short pants going just below your knees, they you will not have a problem and with plenty of pockets, sun protection, and breathable material, your summer hikes will be a breeze. Related: If you want to make these pants even more waterproof, we suggest using a water repellent spray. We can recommend the Granger’s Xtreme Repel Waterproofing Spray. Material: Polyester+cotton blend. Teflon fabric protector. Specific features: Nine pockets, including large cargo pockets, D-ring key hook, belt loops, wrinkle resistance. Best use: Walking, going to work, various outdoor activities. Description: The strongest point of the Propper F5252-50 tactical pants is the wealth of features it offers. Nine pockets in a single pair of pants is not a commonplace, and some of these are really big. The waist band stretches, making this garment good for prolonged wearing. The key ring is also good for tools and some others hooking accessories. Teflon coating makes these pants very mechanically resistant, and you will not have to iron them that often. However, the bottoms are a bit baggy, so they may not be the best choice for biking and hiking on really rugged trails. Also, the colors tend to fade, but if you plan on using them for tactical purposes, or hiking in the wilderness, color fading is not a real deal breaker. And, this model offers more pros than cons and for that price, they seem to be a great deal. Related: Since you are looking for tactical pants, you will probably like a matching belt to go with them. We can recommend the Propper Tactical Duty Belt. Description: A very hot day doesn’t mean you should stay at home, just because you think there are no good pants for that condition. You can choose the Columbia Backcast Pant coming from one of the most renowned Activewear manufacturers. 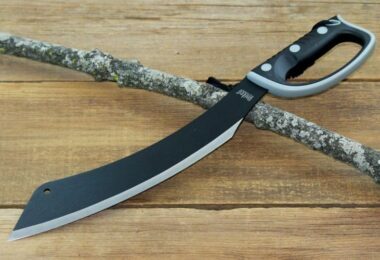 Very good sun protection abilities in a featherweight design, without many pockets and other accessories, when you just want to go somewhere in the wilderness, with as little stuff as possible. The waist is more elastic, making them resemble athletic bottoms. The number of pockets is not great, but there is a large back zippered pocket for the most necessary things. There is also an extra side pocket, which is good to keep the smartphone. The design is straight, not too tight and not too loose. This is one of the lightest models by weight on the market, and the price is quite fair. The only downside of these pants is that their fabric comes with a crinkled appearance so other than for going into the wilderness, you won’t be able to use them for more casual events. But, if you don’t find that as a downside, you will be getting a pair of pants that not only dries off quickly when wet, but also offers a great sun protection for those dangerous sunny days in the middle of the summer. Related: If you think that these pants are what you need to protect your legs from the sun, maybe you should also consider getting a hat to keep your head and neck protected as well. We can recommend the Adam’s Headwear ACXM101 Hatt that with a UPF 45+ protection. Best use: Hiking, biking, running – especially in bad or unpredictable weather conditions. Description: As one of the latest releases on the hiking pants market, the Makino W6DW Quick Dry Pants bring advanced fabrics to your activity. These new fabrics will keep you safe from scratching and bruising and would extend the life of this garment. The pocket structure is great, and all four pockets are large and zippered, so you will be able to carry more than with some comparable models. There are no extra large cargo pockets, but there may not be the need for it at all. Waterproofing abilities are improved, too, and it will quickly dry even if dipped, e.g. when you’re fording a river. Unfortunately, only one color scheme is currently available, but as this is a new item, more colors may follow later. Also, the users claim that in the calf section, pants are slim fit, so when you are on a hike during hot summer days, expect less ventilation in that area. The buyers get a 30-day return-and-replacement service and a three-year limited manufacturer warranty. 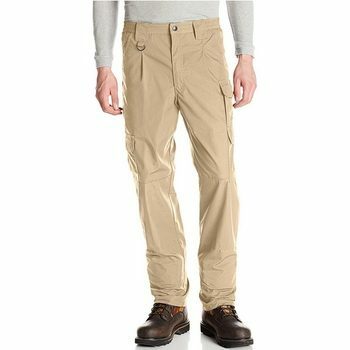 Related: If you like how these pants look and would love to pair them with the same manufacturer hiking shoes, we can recommend the Makino MM1611002 Hiking Shoes . 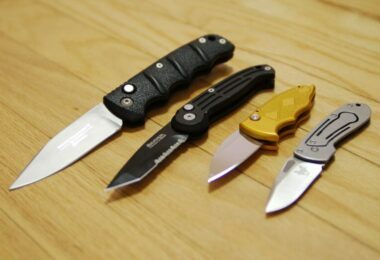 As you can see, most models we chose for these short reviews are not designed strictly for hiking purposes. They’re rather multiuse, and some can be brought to work, though there are some actual Activewear items. 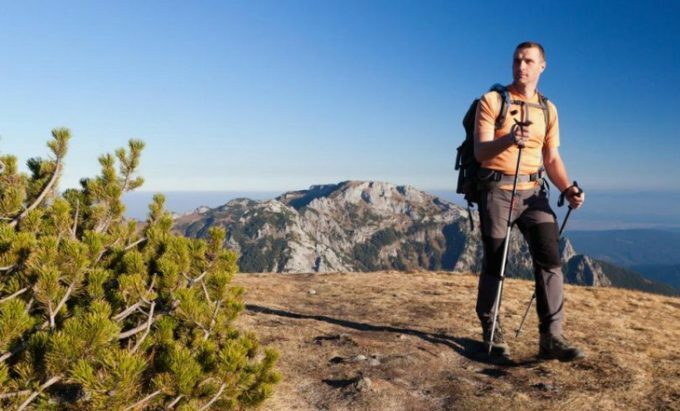 Multipurpose pants let you combine hiking with some other activity, which may be formal, such as a day at work, so you don’t have to go back home and dress, or do it inconveniently in a toilet or on board of your car. The models we chose, are all quick-drying, and provide a certain degree of sun protection and wear resistance. These can last quite long and be worn on many occasions, not just hiking and in the outdoors. Some bring improved comfort by taking advantage of polyester-cotton blend fabrics, while others bring a wealth of pockets for all these necessities you need to bring with yourself. At the end, no matter which model of the ones we reviewed, you choose, you will not make a bad choice. We “opened your eyes” to what to pay attention to when choosing, and you know which models are the best on the market. But, the final decision is yours. Just make sure you let us know which model you went for and how happy are you with them. Also, if you already own one of the reviewed models, feel free to share your experience in the comments section below, where you can also ask questions if you have any. We hope that you found our article interesting and informative and don’t be shy to share it on social media so that your friends can learn more about quick drying pants and what they are good for. Thanks for reading!